Your sponsorship will provide funding for therapy services and equipment for children with special needs in our community. In 2018, we had 319 runners/walkers and 50 volunteers. In 2019 we are partnering with Negative Split race promoters and estimate growing to 500 participants with 100 community volunteers. 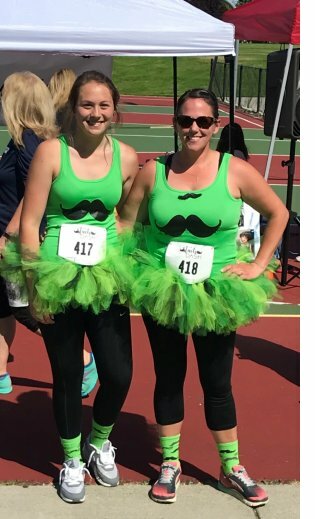 Thanks for registering for Stache Dash 2019! There are lots of exciting changes this year, including a new course and a 10K option. Mustaches provided for race day! Registration includes a snazzy technical (not cotton) t-shirt for running and walking happiness and NEW this year: raffle tickets for great local prizes. Come join in the “race that puts hair on your face” Saturday, June 15, 2019. Support Elevations and help local kids with special needs receive funding for therapy services and equipment. Race day registration will be available from 7:00-8:30am. We do order extra shirts, however cannot guarantee a shirt for registrations after June 5. Our shirts are awesome so register early! Packet pickup Friday, June 14 at Fleet Feet in Kendall Yards. Details coming soon. Run or walk! Register your kids, too! 1) Dogs are NOT allowed on course for safety of all participants. 2) Headphones are discouraged for safety of all participants. 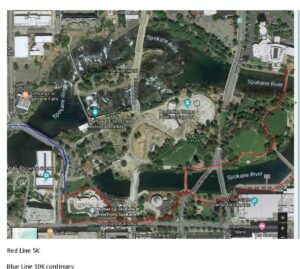 3) Strollers are only allowed on 5K course due to safety concerns on 10K distance. 4) Across The Line Timing will provide timing for the Stache Dash. 5) Back by popular demand the photo booth and props will be available for selfies and group. pictures. Photographer Michael Franklin will be keeping his eyes out for the best stache! local restaurants and festivities after you finish. Name/logo on all other signs, t-shirts, promotional material and registration forms. Thank you for all of our sponsors for helping to make this event a possibility! The proceeds donated will go to helping children in need of various therapies!